If you are not sure of where is Costa Rica geographically located, probably you should read this carefully; we assure you that after reading this text, you will be willing to visit us. First of all, you need to know that this small and biodiverse portion of land is located in the American continent; specifically, in Central America sharing borders with Panama and Nicaragua. Costa Rica covers 51,060 square land kilometers, as well as 40 square kilometers of water, for a total area of 51,100 Km2. Due to this, the country is the 131st largest nation in the world. Costa Rica’s extension may represent only about 0.03% of the world’s total land mass, but its biodiversity is what makes the country so special: here you will find the 5% of the world’s whole biological variety of flora and fauna. The country is located within the geographical coordinates 8 ° and 11 ° 15 'north latitude and 82 ° and 86 ° west longitude. This is one of the smallest republics of Central America along with El Salvador and Belize. Since its origins as isthmus territory, Costa Rica serves as a biological bridge which allows its natural and exuberant richness. The Costa Rican territory is divided into seven provinces: San José, Heredia, Alajuela, Cartago, Guanacaste, Puntarenas, and Limón. San José is the capital province of the country. The GAM, or Great Metropolitan Area, include the provinces of Heredia, Cartago, Alajuela and San José. This conglomerate concentrates more than 50% of the total population in just 4% of the national territory; further, it contains 70% of the country's vehicular fleet which means that you have to take into account the hours of more traffic (peak hours) to avoid large traffic jams. Peak traffic hours in this area occur between 6am and 9am and 4pm and 7pm. But, you have to be prepared to experience some traffic if you are crossing the country from side to side by land, or travelling in the main cities. The traffic here can be dense and you must prepare your Costa Rica Vacation itinerary with anticipation of the possible delays. Where is Costa Rica on Map? 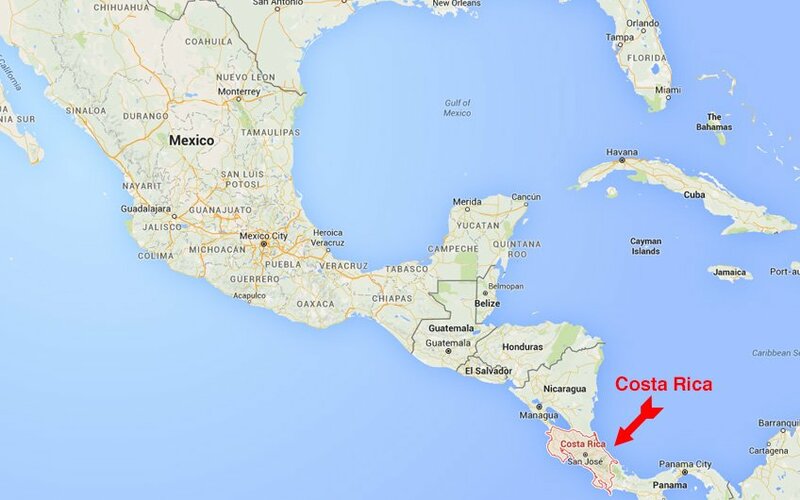 As mentioned before, Costa Rica shares its borderlines with Nicaragua at the north and Panamá at the south. The Caribbean Sea is the limit at the East, and the Pacific Ocean at the West. Costa Rica is located in Central America, in the middle of the of the American continent. It is precisely this privileged location the reason of why Costa Rica has a great biodiversity. If you look at a Costa Rica map, then you will realize that even when the country looks small it is a completely huge paradise plenty of different landscapes influenced by the position of the country. You can experience different climates and landscapes all in the same day. The variety of flora and fauna in a small place is amazing and your surely will be surprised by how easy is to know many parts of the country without spending a lot of time travelling within regions. Costa Rica location makes it a country with a variety of ways to be travelled with; for example, you can easily go from one place to another by land, air or by water. The means of transportation are very varied too, from private or regular transfers, to public transportation such as buses, train (it is a whole new experience you should try once to feel like a real “tico”, car rental, the use of taxis is wide extended, and also the Uber app is currently working well all over the territory and may be cheaper than taking a taxi. If you are self-driving then you can take advantage of the GPS that almost all smartphones have nowadays and this way, you will have easy access to the Costa Rica map to avoid being confused in the roads. The maps are very precise and you won´t have any trouble getting where you want. Just take into consideration the driving laws of Costa Rica and the basic security rules and you will be fine. How Safe is Travel to Costa Rica? One of the most common questions people have is about how safe is travel to Costa Rica? Well, you may want to know that this country has been named as one of the best destinations for solo travelers thanks to the general levels of safety that can be experienced here. People usually can walk around even at nights, the water is safe to drink in all areas of the country and Costa Ricans are always ready to help any visitor who need directions or any advice. Carry a passport copy with you all the time. You can keep safe your original passport in the hotel’s safety box. Almost all hotels have one in their guestrooms. Do not bring large amounts of cash in the Costa Rica currency or in dollars if you are going out for a walk. It is better to carry your credit cards, they are widely accepted alongside the country and in almost all the touristic spots; using the cards will represent a safer option when going out. Just a recommendation: if you are going to a very rural place and you are not sure if they accept credit cards as payment, then you can ask for help or recommendations in your hotel, or carry some cash for unexpected expenses or personal items that are not included in your tour packages in Costa Rica. If you rent a car, do not leave valuables in it. Be always aware of the people around you. Even when Costa Rica is a peaceful place you have to be aware of your surroundings to avoid an undesirable experience. In case you have an emergency or an accident, you can always call 911; or if you think that is not necessary, you can ask for help to the people of your Costa Rica hotel, also your guide or your driver can help too, or if you prefer, you can call your travel agency. Also, embassies are a good support in case you have special formalities or you need any legal advisement, for example. As it is a very touristic country, in Costa Rica there are located the embassies of many of the main countries of the world from which tourists are received. For example, here in the country you can find the embassies of the United States, United Kingdom, China, Germany, and France, among others. One of the most important things to take into account when you are traveling to Costa Rica is the weather, it is better for you to check previously how weather is expected to be, as in this country the variety of micro-climates will determine what you need -and don't need- to pack. But you will always have to be prepared for strong climate variations depending on the region you will be visiting. In general terms, sun will rise around 5:30 am and will set around 5:30 pm and there are only two defined seasons: the dry season (called "verano") and the rainy season (called "invierno"). Normally, in the Costa Rica weather, the dry season approximately goes from December to April and the rainy season goes from May to November, with September and October being the wettest months of the year. Nevertheless, it is important to consider that the climate has been changing in the last few year, so this definition of the months it may be not as precise as it used to be some years ago. But, what you can expect here is to find a place with tropical conditions varying from dry periods with rainy moments or general humidity; of course, depending on where you are at the moment. Packing a sweater, a poncho, a hat, sunglasses, sunblock, insect repellent, sandals and tennis or hiking shoes it's always a good idea for having a great time during your Costa Rica vacation! 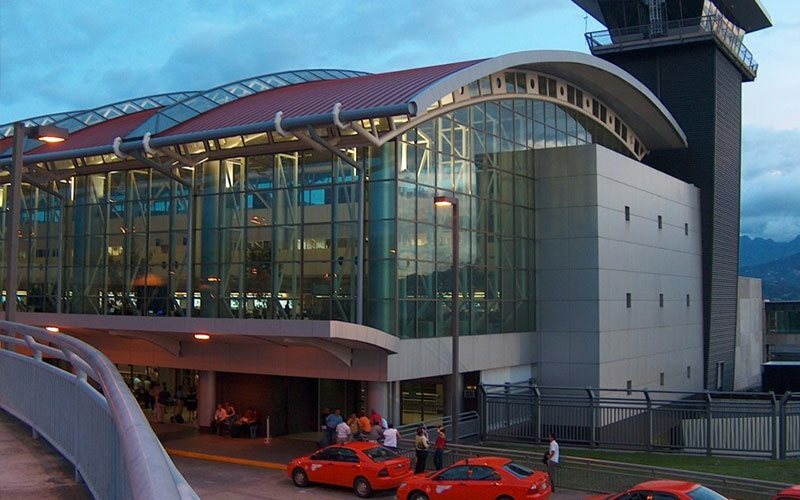 Costa Rica has two international airports: Its main one is the Juan Santamaria International Airport, located in the Central Valley; and the other one is the Daniel Oduber International Airport, located in Liberia, Guanacaste. Citizens of the United States, Canada and most western European and Latin America nations do not need a visa to enter to Costa Rica. In fact, U.S. citizens planning to stay fewer than 90 days can enter the country with a valid ID, a copy of their birth certificate, and a tourist card that can be obtained from their airline when they depart from the United States. Besides, the country has a variety of local airstrips where internal flights operate. Regular scheduled flights and private charters can be booked in order to save travel time in the roads. You can fly to almost every main destination of the country, as you have daily Costa Rica domestic flights to Arenal in the Northern region of the country, to the world-known beach of Manuel Antonio, to the even more important area of Liberia Costa Rica, and some other flights can take you to the South Pacific region of Costa Rica, specifically to Puerto Jiménez or Golfito (ideal if you are visiting Corcovado), and also, you can take a direct flight to Tortuguero if you want to visit their canals. Costa Rica Travel Tip: A departure tax of USD$29 per person must be paid by anyone leaving the country by air. Sometimes, this fee is included in the airline ticket; but it is not always that way so, if you bought your ticket and it is not included, you must pay this fee directly at the airport before leaving. Also, if you are doing just a connection here and you don't pass the international arrival area you don't have to pay this fee. Please find out if you have to pay directly before you depart, in order to avoid complications. US dollars are widely accepted in Costa Rica, especially in the touristic places like hotels and restaurants - in fact, some places even list their prices in US dollars to make it easier for international travelers. For smaller services, such as local meals, supermarkets or public transportation, be prepared to pay with colones which is the local Costa Rica currency. Credit cards are accepted in almost all places too and even by some taxi drivers (VISA and Mastercard are the most widely accepted), although most credit cards include a transaction fee for international purchases. You must check previously with your bank to be sure that everything is working out well. ATMs (locally known as cajeros automáticos) are also widely available in Costa Rica, even in the smallest towns. You can use ATMs to get US dollars, but when you use them to get local currency (colones) you will receive a good exchange rate for your US$ or Euros. Besides, there is a 13% tax on all purchases in Costa Rica, including souvenirs and hotels; and a 10% gratitude fee in restaurants is appropriate but most of the times it will be added to your bill. You don't have to tip on top of this, but it's good practice to do so, because the 10% fee is split among many people. If you want to tip your waiter directly, leave more money on the table or give it to him or her when you are done with your meal. You may want to tip other people while in Costa Rica, including maids, bellboys, or drivers. Tips for these services usually range from US$1 to US$10 a day. Taxi drivers do not expect a tip so it is not necessary to bring them one of the tips. It is important for you to know that most of the hotels offer wireless internet connection without any cost (or for a very low service fee). Also, some restaurants and minivans offer Wi-Fi signals, so you can have regular access to Internet. In some remote regions of Costa Rica such as Corcovado or Tortuguero, you must be aware that the lodges cannot offer this service during your Costa Rica vacations. If it's necessary for you, pre-paid SIMs can be purchased at the international airports and about a million other locations country-wide. Pre-Paid SIMs can be recharged at the same million locations all over the country, so using a pre-paid SIM is a pretty simple deal. Using a PrePaid SIM in Costa Rica means you must have a quad band unlocked cell phone. The vast majority of US cell phones are NOT unlocked and some (maybe many) are not quad band. They are locked to the company providing the cell service and a pre-paid SIM here will not work. Costa Rica Travel Tip: We recommend you acquire any Cell Phone or Prepaid Sim Card in one Kölbi Store (you can identify them for its frog sign), because this is the company supported by I.C.E government's institution. But, there are also other telephonic companies such as Claro and Movistar where you can buy these services if you prefer that. Then you can be in touch with your beloved ones during your Costa Rica family adventure. Health care in Costa Rica is very good and sanitary standards are high. Top quality hospitals are found throughout San José Costa Rica and other Central Valley locations, as well as in some of the other touristic areas or other ones with large populations. Costa Rica’s health system is one of the bests in the region and it is a social system, this means that all the people contributes to maintain it by giving a percentage of their incoming or salary as taxes. That’s why the coverage of the health system is working out pretty well and the cost of the medicine is not elevated in comparison with other Central American regions. Now, if you have an emergency while staying here in any of our Costa Rica resorts or being here on your own, you can ask for help dialing the 911 or contacting the services of private medicine which also offers a great service but at a higher cost. That is only informative, as we hope you never require any medical assistance so that you can enjoy to the fullest your Costa Rica vacation. Something important to know is that anyone entering Costa Rica from certain South American countries, including Colombia, Brazil and Ecuador, must provide a yellow fever vaccination certificate. This is also necessary when traveling to Costa Rica from African nations where yellow fever is present. First thing you need to know is that in most of the country it is absolutely safe to drink water from the tap, this means that you don't have to spend a lot of money in bottled water. You will also find water dispensers in most of the hotels and restaurants, so bring your own bottle from home and help in the conservation of the planet! 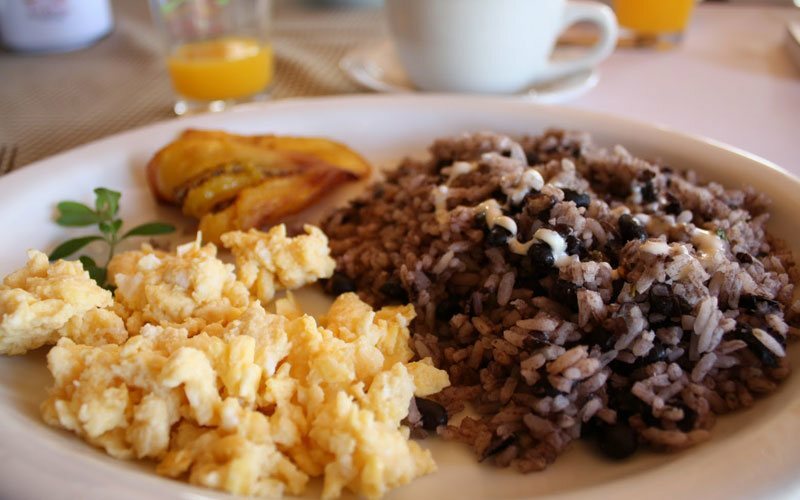 Vegetables and fruits are very common in Costa Rica's cuisine. One of the best ways to experience the local cuisine is eating in the small roadside restaurants known as "sodas". These are usually very economic and serve very good quality food. Besides, there are also a lot of restaurants of international cuisine (Chinese, Italian, Mexican ...) and almost all fast-food chains such as McDonalds, Taco Bell, Pizza Hut, Friday's, Denny’s, Quizno’s, Smashburger, Chili's, Popeyes, Carl Jr.'s, Cosi, Applebee's, Starbucks, and many more. The Costa Rica transportation is very varied and you have the opportunity to choose how you want to travel around the country. During the last months, the traffic in Costa Rica has been changing a lot. Nowadays, there are more vehicles transiting and that represents a huge change compared to previous years. If you are travelling short distances we highly recommend to use the road trips, but if you are crossing the country towards some idyllic beach or a distant destination, then it is better to use the air transport to help you save some time. Pedestrians: It's very important to take into accounts that in Costa Rica, pedestrians not always have the "right of way". In high traffic hours and big highways it's always better if you make sure that cars are stopping at pedestrian traffic lights before you cross the street. Bus: Public transportation in Costa Rica is economical and convenient. Short trips (3 hours approximately) are about $3 USD, while longer trips are no more than $15 USD. Taxi: Taxis must be painted red and have a yellow triangle printed on the doors; also, they have a meter to prove they meet legal operating requirements. If the taxi lacks either of these, do not risk a ride. In Costa Rica, there are also illegal taxis and these does not have any kind of meter or insurance, which can be a risk for you in case of accidents or at the moment of knowing the fair payment tariff. Uber: The popular app has been working pretty well in Costa Rica since the last year, so if you have it in your smartphones you can use it here. It is safe and you can use it while staying here without problem if you need to move around the city. Even though, we strongly recommend you to use regular or private transfers because this way you make sure you will have a safer service in your own language and with the tranquility of moving around just in time and without worries. Download for Android | Download for iOS. Flying (Internal Flights): Regular scheduled flights or private charters can be booked from and to the different airstrips located in the main touristic destinations of the country. For regular flights is very important to be aware of the maximum luggage allowances. Train: Costa Rica doesn’t have a subway or metro system, but it has a railroad system that permits citizens to cross faster from one city to another. Even though, a great amount of people use this means of transportation, so sometimes you have to wait in a row to get your place. Boat: Boat tranfers are used mainly in some remote places where the only access is by water. For example, to get to Tortuguero you will ride first in the road and then by the water. You can also cross from Arenal in La Fortuna to the mystic area of the Monteverde cloud forest by water; we assure you that you will enjoy a completely different and pleasant ride. Are you traveling to Costa Rica and want to know which are the places you shouldn't miss during your vacations in Costa Rica? Well, that's difficult. In Costa Rica there is a variety of beautiful places to visit, from rainforest to beaches and from the Pacific to the Caribbean. side of the country..reasons to visit Costa Rica are endless. Costa Rica’s biodiversity makes the country a great place for those looking for eco-tourism and a higher contact with nature. There is a great bunch of possibilities to enjoy and discover. And, in just one day you easily can experience a lot of climate variations that won’t be possible in another part of the world. Here, visitors can expect a great ambiance full of nature, relax and adventure. We have great spots for those looking for birdwatching, turtle nesting spotting, or simply looking for being more in contact with mother nature. And, if you are more an adventure lover, then you can enjoy different adrenaline-full Costa Rica tours such as white water rafting, canopy tours, canyoning and rappelling, scuba diving, among others. You can stand by the beach in the morning, enjoying waves, sun and the “sea relaxed vibe” and then, just a couple of hours later, you can be immersed in a tropical rainforest, surrounded by different sounds, lush green vegetation, humidity or cold, and quiet different species of animals and insects… everything just in one day! Sounds hard to believe, but it is that way: A Costa Rica vacation is the perfect option to let yourself and your beloved ones be amazed by the power of beauty and the power of nature. It is difficult to point out the best Costa Rica attractions because of two main reasons: a ranking of something like this depends of what the people -individually- is looking for, it is very subjective; and... we love each and every one of the places! So, probably, you will have to decided which places you want to rank in your top list. Not only for staying, but also for taking some tours and one day excursions, Costa Rica as a destiny is full of different options that can be taken in order to compliment your rest days in paradise. Follow the link and check this out! Why do people visit Costa Rica? Because all the adventure, nature and relaxing activities that can be done while you are here! Costa Rica is a great place not only for solo travelers, but also for families looking activities for all ages and preferences and, for honeymooners it is a truly paradise. Families are more than welcomed in the majority of hotels all around the country , and you can expect kids’ facilities in the most of them. Activities, promos, special menus, and more benefits can be found in the the family friendly resorts in Costa Rica hotels and resorts which, just to ensure the plenty enjoyment of your family vacations in Costa Rica. If you want to have some tips for your family trip in Costa Rica you can contact us by clicking here. You will have a better idea of what to do or expect in this tropical paradise, and it will ease the planning of your Costa Rica trip. Honeymooners will also feel like vacationing in Paradise. The country is an excellent location for couples after their wedding. And you must know that Costa Rica weddings are also very popular among foreigners and we can arrange the best event for this special moment of your life. Some of the honeymoon Costa Rica vacation packages includes special amenities to pamper the newlyweds and to offer an unforgettable moment during their romantic trip. We already have some pre-arranged packages to ease your search of your perfect honeymoon, but we can organize your dreamed trip in a customized way, to fit your needs and your budget. Just ask for assistance, one of our sales executives will contact you to gladly help you. Travel Excellence has vast experience in arranging customized travel experiences, so if you want to add or change something in your itinerary, then one of our specialists can fit your ideas into a whole new experience specially designed to satisfy your needs. It is a good option if you think that it is a little bit stressful to arrange and plan what to do in the country. Or, if you have small children, then it is a good option too. 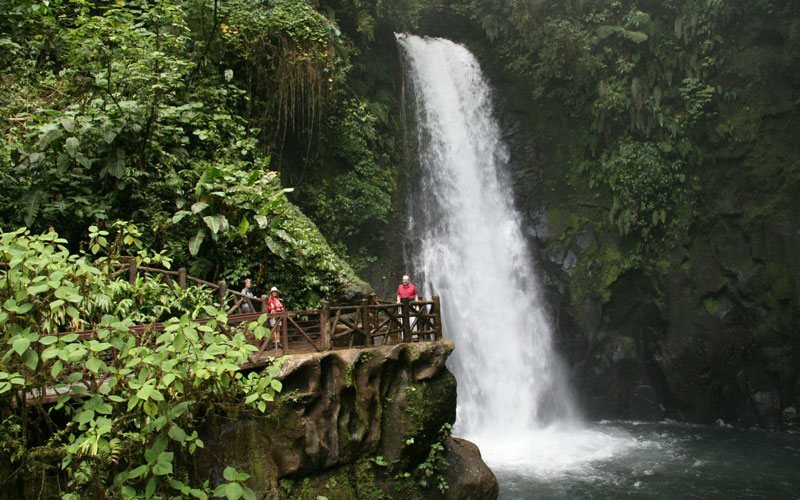 You just have to select the Costa Rica vacation package that fits more into what you are looking for. We offer the option of taking all-inclusive vacation while travelling to Costa Rica, because it eases a lot the job of searching for places, tours, food options, transportation, and all concerning to the trip planning. But, if you want to create your own and unique experience here we are to assist you. Your memories will be insuperable! Read our blog to know more about how to choose the best vacation package for you!